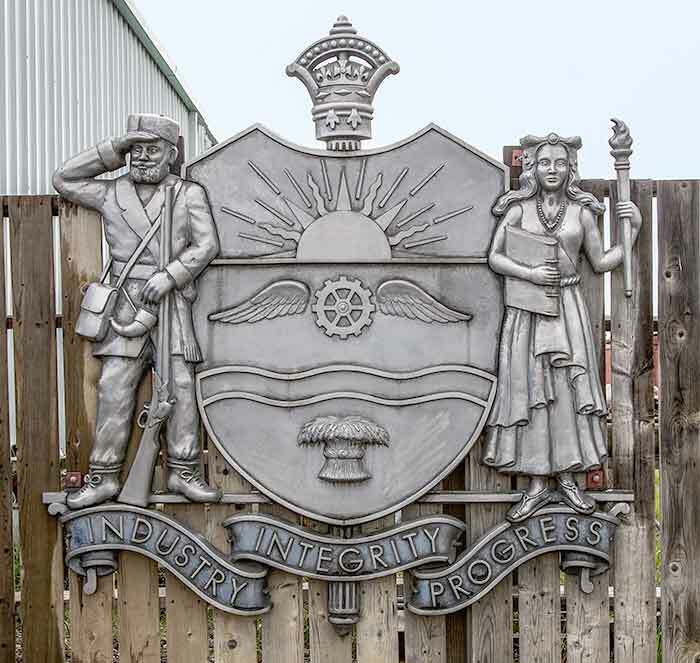 This crest was installed on the west wall of the Rossdale Generating Station in 1966. Upon completion of the last unit, # 10 the station was rated at 405MW. 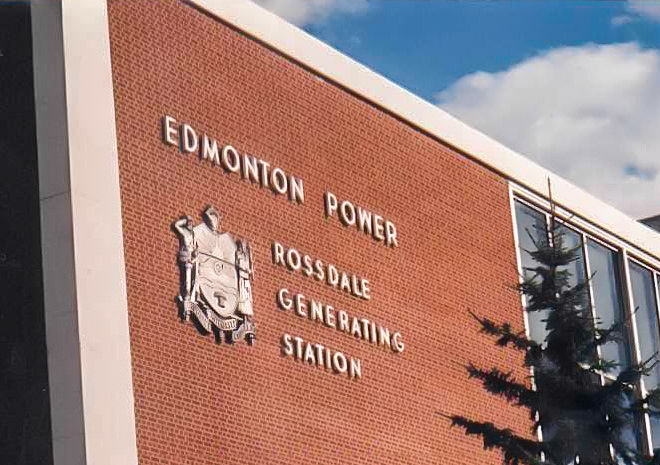 It remained there until 1997 when the name was changed from Edmonton Power to EPCOR.